Free Webinar on The Wellness Coach Revolution. Health coaching has a growing body of research that supports its unique behavioral change approach as a significant means for impacting health and well-being. Our current health care systems in India are currently undergoing an alarming rise of chronic disease rates, much of which can be halted or reversed by lifestyle improvement. The health coach serves the entire medical team as a wellness expert, highly trained in the difficult task of adopting healthful habits that are sustainable. The current healthcare systems in India are ineffective to tackle the alarming rise of chronic diseases, most of which can be countered by lifestyle behavior improvements. 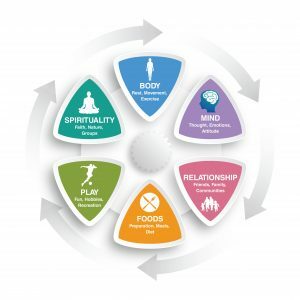 ‘Health & Wellness Coaching’ is an elaborate study that supports the unique behavioral change approach as significant means to impact health and wellbeing. Health & Wellness Coaches serve the entire medical fraternity as a health & wellness expert, and takes on the difficult task of helping people to adopt healthy habits that are sustainable and life altering. Individuals working in healthcare who wish to expand their options with a coach approach. Health educators who want to learn the latest research and skills in coaching psychology. Anyone who has a desire to work in health care but is lacking a clinical degree. Also ideal for physical therapists, nurses, doctors, ayurvedic practitioners, Chinese medicine practitioners, fitness trainers, yoga teachers, councellors, physicians, human resource managers, psychologists, personal trainers, alternative therapy practitioners and anyone who is passionate about helping others live a life of optimum health & wellbeing.